Slow Way Round, Butty Bach! This year’s NACC Annual Rally had a couple of very special guests. 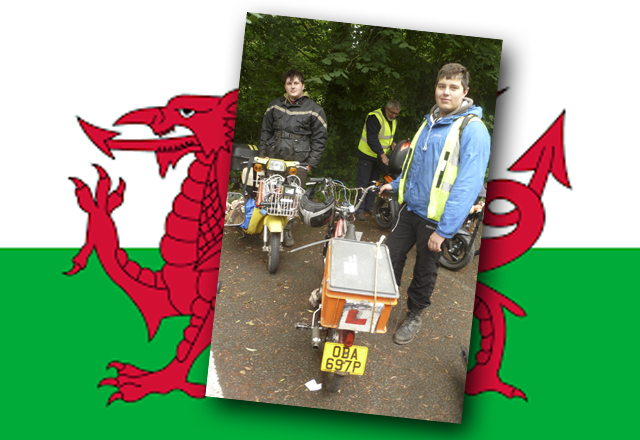 Sixteen year olds Ioan Crowe and Jessie Moody joined us, taking a detour from their circumnavigation of Wales. We look forward to telling the tale of their adventure in the pages of our club magazine ‘Buzzing’. Their recommendation? If you want an adventure, there’s an alternative to high-cost globetrotting on huge on-off road adventure bikes. Get yourself an old moped, fill its shopping basket with your camping gear and set off for a fortnight to travel around the Welsh coast, then finish with a trip along the Welsh Marches border country. That’s definitely the Buzzing ethos! Well done lads! !